Round 34 saw six days of Premier League action with the major story being Man City crowned champions for the third time in seven seasons. The Citizens have been the top team in England this term and are on course to break Chelsea's points record (95 ) for a league campaign. 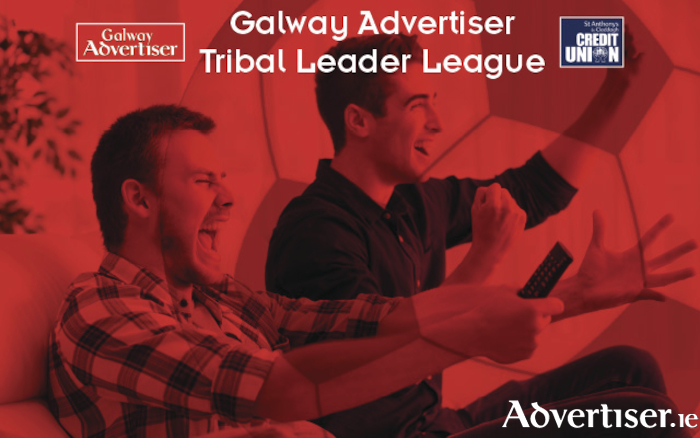 Now the race for the Premier League title may be over but it is only hotting up in the Galway Advertiser Tribal Leader League in association with St Anthony's and Claddagh Credit Union. This round is a hugely important one for managers as it coincides with FA Cup semi-final weekend meaning Fantasy managers will have to do without players from Spurs, Man United, Chelsea, and Southampton. So what players should get the nod for this weekend's league action? Who else but Mo? Salah is the first name on the team sheet of any Fantasy manager who is worth his/her salt and with Liverpool visiting all but doomed West Brom, I expect the exceptional Egyptian to not let anyone down. There will be plenty of goals at the Hawthorns at Saturday lunchtime; plenty of goals for Mo that is. Make him your captain for double the points. There may have been no goals for the Serbian midfielder against Brighton on Saturday, but Milivojevic still came up trumps for his side with two assists in a priceless victory for the Eagles. Milivojevic has picked up 38 points in the last four game rounds which means his value has risen to £5.2 million. However, he is still an absolute bargain when considering the cost of more marquee players. On Saturday afternoon, Palace make the short trip across London to face fellow league strugglers Watford. The Hornets have only picked one point in their last five league games, conceding 13 goals in that time. This game is too tight to call but I believe Milivojevic will have a big impact on the match and the score sheet. Get him in your team. The form of the Gabon international seems to have gone unnoticed due to the Gunners' woes this season. Aubameyang is bang in form with five goals and two assists in his last five league outings. Arsenal welcome a West Ham side who have only picked up three points from a possible 15. Throw in the fact that a bumbling Joe Hart will be between the sticks for The Hammers, I believe this will be a comfortable win for Arsenal and Aubameyang will have plenty of goals.